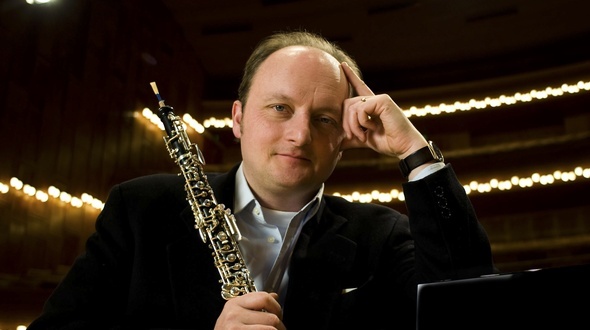 François Leleux is an absolute star act and recognised throughout the world as the best oboist of his generation. Since becoming Principal Oboist at the Paris Opera aged 18, he has been regularly appearing with the world’s major orchestras performing repertoire from Baroque to newly commissioned works with conductors such as Pierre Boulez and Sir Colin Davis. Watch Leleux teach one of the most important pieces in the oboe repertoire, Mozart Concerto. Leleux has besides from his stunning technique a clear and pure sense of style. Watch how you practically add this to your own playing as he explains in details about articulation, phrasing, sound production, finger technique and much more. Recognised throughout the world as the best oboist of his generation, François Leleux enjoys an international career appearing with major orchestras and at important venues and festivals performing repertoire from Baroque to newly commissioned works. Online oboe lessons. François Leleux is regarded the greatest living oboe soloist. In this lesson he teaches the gorgeous sonata for oboe and piano by Poulenc. Get tips about sound, technique and the style required for this piece. Poulenc´s music is typical French, and it somehow takes a frenchman to explain this music, and that´s what Leleux does better than anyone else. Oboe Lessons online. François Leleux is regarded the greatest living oboe soloist. In this lesson he teaches the big romantic oboe concerto by Richard Strauss. Get tips about sound, technique and the style required for this piece. This piece has it all: long lines- technical challenges- extreme dynamics and a style that should be played flawlessly and elegant. Sound has to project a full orchestra. How do you do all this? Watch Leleux explain some of all these questions in this masterclass no 4. François Leleux is regarded the greatest living oboe soloist. In this lesson he teaches the romantic Romances by Schumann. Get tips about sound, technique and the style required for this piece. This piece is known for it´s beauty. It should be played effortlessly, even though it is demanding at all levels. How do you do that? Well, watch a true master explain, demonstrate and share his big knowledge about this great piece. Watch Leleux make a reed from scratch and finally playing Strauss Concerto on it. Leleux doesn´t like to complicate things too much, and that can be a great help in this process. He shares the details about cane, equipment, scraping and much more in this short informative video. Recognised throughout the world as the best oboist of his generation, François Leleux enjoys an international career appearing with major orchestras and at important venues and festivals performing repertoire from Baroque to newly commissioned works. François Leleux has worked with leading conductors such as Pierre Boulez, Mariss Jansons, Sir Colin Davis, Myung-Whun Chung, Daniel Harding, Thomas Dausgaard, Wolfgang Sawallisch and Alan Gilbert. Get all 5 Masterclasses with star oboist François Leleux. Mozart and Strauss Concertos, Poulenc Sonata, Schumann Romance and Bach Sonata. 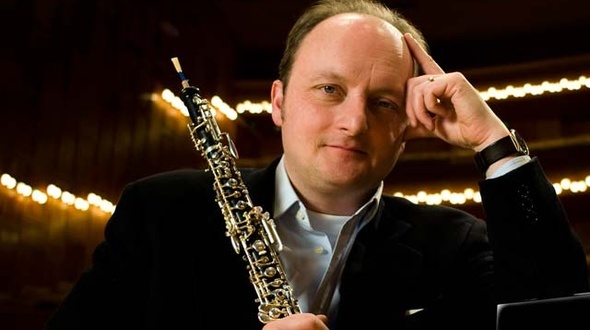 Get all 5 masterclasses with oboe star François Leleux.